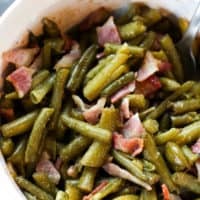 I’ve been making this Green Bean and Bacon Casserole for a few years now and I’m still excited every time I put it in the oven. It makes the whole house smell amazing with the bacon mixing with the brown sugar/soy sauce/garlic sauce. It’s super simple to throw together and is a staple on my Thanksgiving menu. The sweetness goes really well with spicy rubs for meat so consider this the next time you’re cooking a spicy dish and are in need of a side. 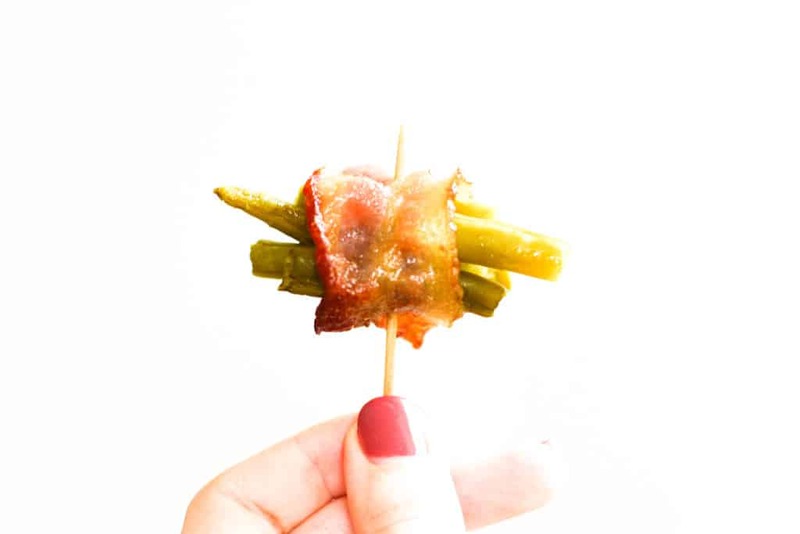 One of my friend’s moms had showed me these (^) awesome green bean and bacon rolls that she makes as appetizers a few years ago. They’re SO GOOD. I’ve made them as appetizers for get togethers and even for tailgates. They never last long no matter the location. I decided that they were too good to keep as an appetizer and wanted to figure out how to make them for a side dish. She gave me her recipe and I threw it all together in a casserole dish and I’ve never looked back. The rolls are perfect for impressing friends with the flavor bomb you present to them and the people that are drinking at tailgates will love you even more. The casserole is so quick to put together, but has all of the same flavors. And as a big plus.. there’s bacon in it and you can’t so no to that. 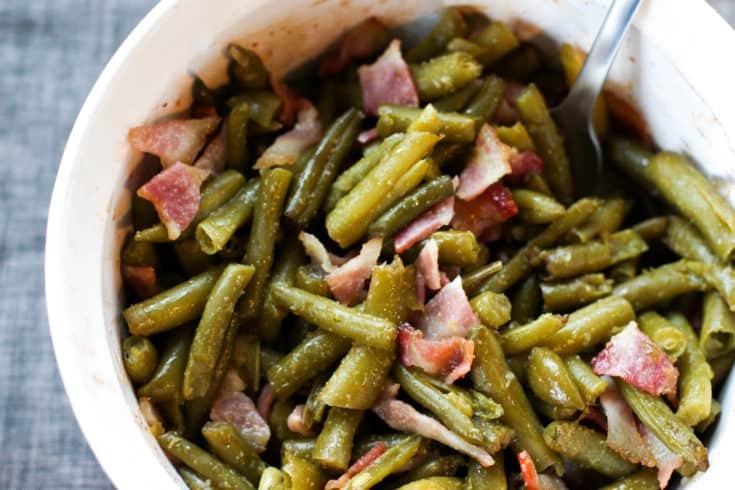 A super simple casserole with green beans and bacon. Place green beans into a small casserole dish. Put bacon on a microwaveable plate on a paper towel and microwave for 2 minutes to cook slightly. Slice into small pieces and place on the green beans. Combine brown sugar, butter, soy sauce, and garlic powder in a small bowl. 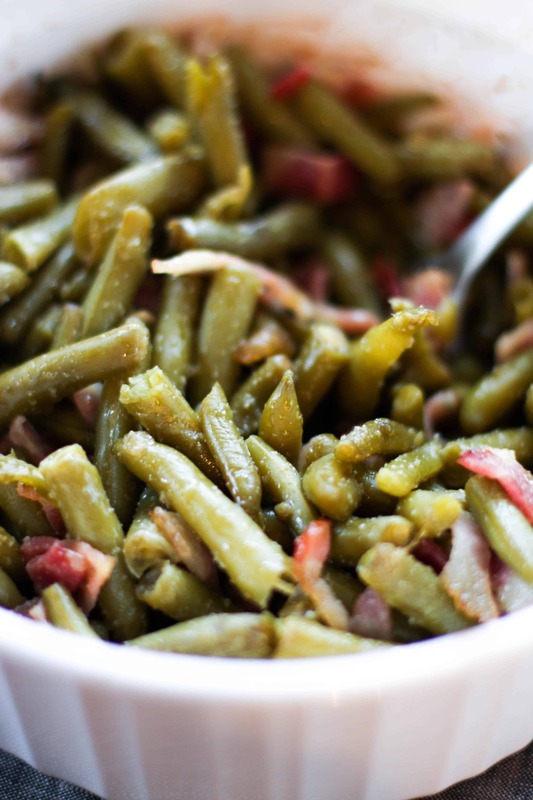 Pour over the green beans and bacon and stir until well combined. Bake for 30 minutes until warmed through.